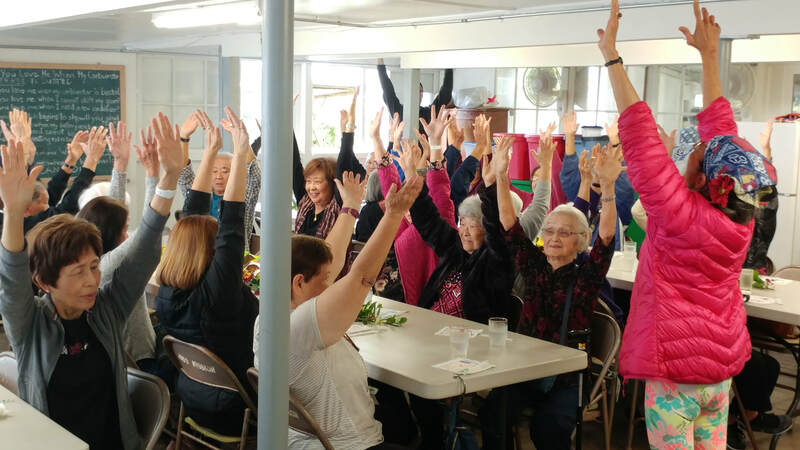 Akiko Masuda leading exercise at Senior Luncheon. Photo courtesy of Garry Wyckoff. They say a picture -okay, 4 pictures- is worth a thousand words and we are delighted to share these images of our weekly Senior Luncheon Program. 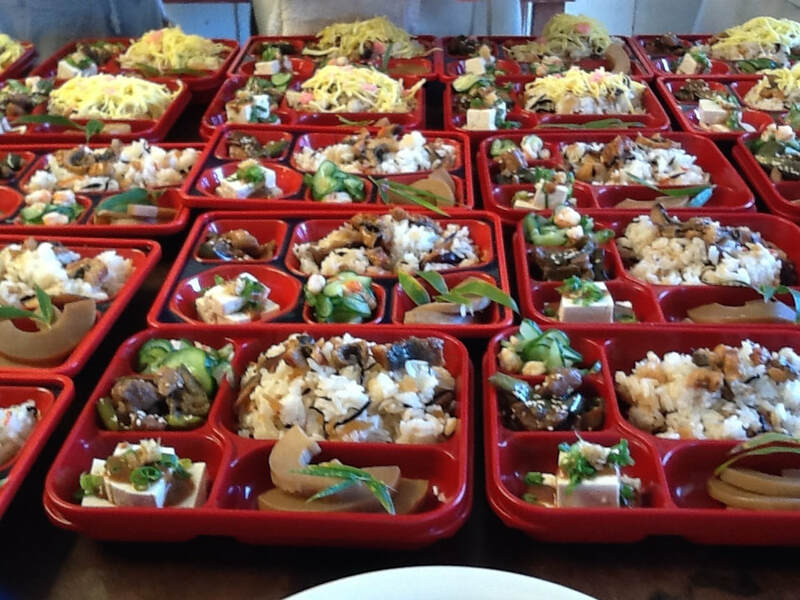 Senior Luncheons at the Hakalau Jodo Mission are an EXPERIENCE! Seniors gather to tell stories, sing, exercise, laugh and eat a wonderful lunch. Luncheons are usually once each week from 10:30 a.m. - 12:30 p.m., although the day of the week does vary. See the Calendar of Events for the current schedule. Miyo Harumi (left) and Akiko (right) provide the inspiration and leadership to plan, prepare and serve a weekly luncheon attended by 30-50 grateful "kupunas" (average age: 80) who gather at the nearby Hakalau Jodo Mission dining hall to sing, talk story and delight in Miyo's traditional and healthy Japanese-style cooking. Let us know if you can join us. Just email Akiko or call 963-6422 so Miyo can have head count at least 24 hours in advance. Contact us for free, confidential assistance with planned gifts or bequests of any kind. With sincere gratitude for your consideration and support. Take a look at the other Wailea Village Historic Preservation Community initiatives: Cemetery Stewardship, Reviving Hakalau School, and Mochi Pounding.